Have you taken time out to take care of yourself today? Know that if you don't prioritize taking care of yourself, your self will be taking care of you! Your lack of care for you will manifest itself in small ways at first – in the form of fatigue, stress, anger, frustration or getting lost in thoughts and worries. Then, over time, if your self is not cared for properly, serious health problems such as high blood pressure and cholesterol, diabetes and even heart disease could ensue. So, how do you take care of yourself? Good diet, exercise? Well, therein lies the secret. Take a holistic care of your self to achieve that perfect or near perfect balance between you and the environment you live in. This approach requires eating well, exercise AND meditation. Eating well and exercise keep your body healthy but unless your mind is equally healthy, you are only partially taking care of your self. In fact, unlike food and exercise, meditation is an invisible curator of your health, your consciousness, your being. With mind unhealthy, you will not be able to take care of your complete self. Eat Well: Eating well is a vital part of looking after your self. Eating well maintains immune system of your body. A balanced diet includes fruit, vegetables and wholegrain bread or cereal. Cut back on salt and sugar. Ditto for saturated fats and trans fats. They can push up your cholesterol levels and increase your risk of heart disease. Unsaturated fats, on the other hand, can reduce your cholesterol levels and provide you with essential fatty acids. Exercise: Exercise is vital for your physical and mental health. It strengthens your body’s immune system. It helps you deal with stress and lifts depression. Physical activity also helps boost your energy level, self-esteem and posture. It makes your heart stronger, keeps you supple and reduces all sorts of diseases including heart attack, stroke, diabetes undesirable blood lipid, cancer, osteoporosis, etc. Meditate: What eating well AND exercise are to your physical body, meditation is to your mind and hence to your entire being. Meditation is the crucial component of the regime of taking care of your self. Make meditation part of your daily routine. It is the easiest activity and requires a least amount of physical effort. If you cannot eat well or exercise - both of which require preparation and equipment - due to your busy, fast track life, you can easily and must take time out of your routine at least for meditation which can be done anywhere including a crowded place where you can neither eat well nor exercise. Just as you drink coffee to break your work routine, meditate to break your hectic routine to calm and reset your mind and to enable it to invoke built-in immune system of your soul that helps develop positive thinking. While the immune system of the body works automatically, the one for soul needs to be consciously and mindfully activated every day and that is exactly what meditation does. It is the immune system of your mind that keeps your mind healthy, allowing you to think positively, eat well and do daily exercise. Meditation empowers you to take care of your self holistically to restore your consciousness, your being, to a state of consistent wellness! 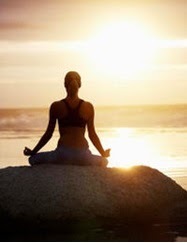 What has been established by Brahma Kumaris for decades on meditation is only recently – in 21st century - being re established by the western institutions such as the University of Wisconsin at Madison and the University of Massachusetts that meditation induces faster physical recovery from a stressful situation and it can reduce employee stress and burnout respectively. In fact, if you cannot bring yourself up to eating well or exercise, start with meditation to reenergize your mind which in turn will empower you to eat well and exercise leading to your overall wellbeing. Meditation is power within you. Deploy it.